Onlineprinters GmbH is the only online print shop in Europe to offer standard shipment of printed products to Austria, Switzerland, Italy and the Benelux countries free of charge. 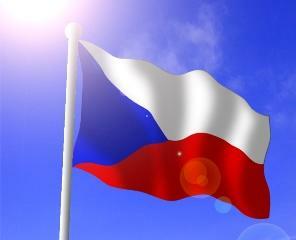 From now on, also our customers in the Czech Republic will be delivered free of charge. "Many of our European customers save twice", CEO Walter Meyer introduces the extended offer of Onlineprinters GmbH. 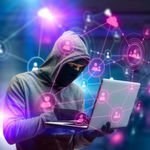 "In addition to our reasonable prices, we now offer free standard shipping of our printed products to eight European countries." Transparent final prices in their own currency allow businesses and private individuals from the Czech Republic to get an accurate price calculation in the online shop. The online print shop offers its customers a wide array of printed products. At the Germanlanguage shop www.diedruckerei.de or the English version under www.onlineprinters.com, customers can select from a great assortment of business cards, flyers, brochures and complete marketing tools. The printing is done optionally in premium offset print quality or in flexible digital printing. Onlineprinters GmbH unites printing and innovative finishing techniques under one roof. In addition to the broad standard assortment of papers, also highgloss CHROMOLUX specialty papers and plastic sheets are printed and provided with brilliant finishes of UV varnish. Posters, calendars or any other printed matter, in small or large runs, can be calculated and ordered with a few mouse clicks. Resellers have the option to have their order shipped directly to the end customer in neutral packaging. Smooth and timely delivery Europewide is accomplished by the reliable shipping provider UPS or the contracted courier providers of www.diedruckerei.de. The delivery time to the Czech Republic is one to two business days. By focussing on the online market, Onlineprinters GmbH have established themselves, since their foundation in 2004, among the top 5 online print shops in Europe. And this year, too, the growth market is in Europe. The multiplecertified online print shop www.onlineprinters.com satisfies its customers with service, reliability and reasonable prices. In the independent evaluation portal, 99 percent of the customers attest the online print shop an "Excellent". A great array of products in a transparent shop system and quick, reliable order processing in the inhouse production, make the online print shop a reliable business partner for 31 countries throughout Europe on a 24/7 basis.